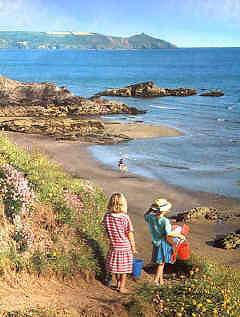 The Rame Peninsula is a secret holiday destination in a "forgotten" corner of East Cornwall with gently rolling hills, quiet beaches and secluded creeks bordered on three sides by water, the Rivers Lynher, Tamar and Plymouth Sound. The Rame peninsula is an ideal holiday retreat, that offers holiday cottages in quiet locations, with easy access to Cornwall and Plymouth and the South Hams via the Torpoint ferry. Located on the Rame Peninsula are the villages of Antony, Cremyll, Kingsand, Cawsand, Millbrook, St.John, Sheviock, Wilcove, Crafthole, Downderry, Portwrinkle, Seaton, Freathy & Whitsand Bay and of course Torpoint. Each village has a unique character each with it's own character. 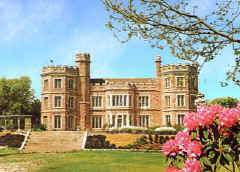 Mount Egecumbe country park, overlooking Plymouth sound is a favourite visitor attraction. The Country park and Historic house has stunning views across Plymouth Sound and the River Tamar. The romantic Cremyll Passenger Ferry runs a regular service across the river to Plymouth and in summer months, the Weston Maid, provides delightful boat trips from the Barbican in Plymouth across Plymouth Sound - landing on Cawsand Beach.